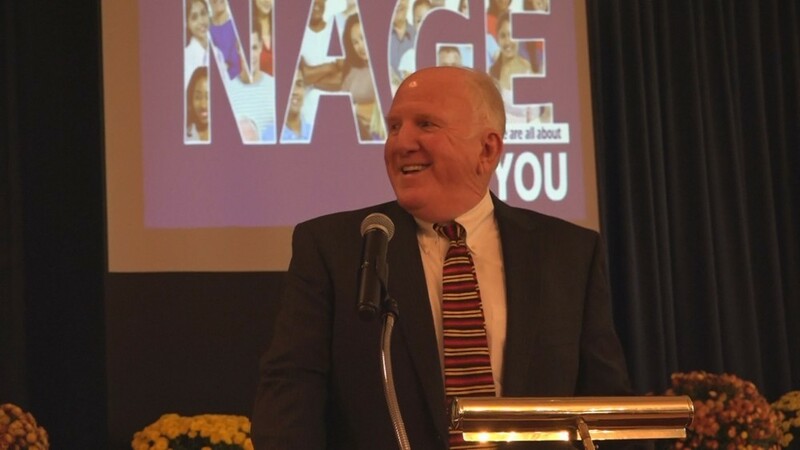 NAGE National President David J. Holway sent a letter to GIC Chairwoman Katherine Baiker on her recent remarks on selecting a new executive director for the commission. Below is the article from State House News Service and attached below is President Holway’s letter to Chairwoman Katherine Baiker along with the press release sent out early this afternoon. BOSTON, DEC. 18, 2015....Dolores Mitchell, the executive director of the Group Insurance Commission who has served under seven governors, plans to retire, she announced Friday morning. "I have come to the conclusion that it's better to leave when people are either honestly or dishonestly telling you they're sorry you're going to go, than stay too long and have them say, 'It's time for her to leave already.' So I'm going to retire," Mitchell told commissioners Friday, creating a few expressions of shock from people on the 17-member commission. Mitchell has been executive director of the state-employee health plan since 1987, starting in her post under former Gov. Michael Dukakis. Her retirement announcement led to a disagreement among commissioners about how to replace Mitchell. Katherine Baicker, the chairwoman of the commission, initially told her colleagues she didn't plan to advertise the position, had already talked to "one exceptional candidate" and encouraged others to recommend candidates with the hope of a making a decision in January. Melvin Kleckner, a commission member from the Massachusetts Municipal Association, and Timothy Sullivan, of the Massachusetts Teachers Association, led calls for a formalized, extensive search process. "You gotta do some kind of an extensive search," said Sullivan. Before the commission entered a closed-door executive session on an unrelated matter, Baicker encouraged commissioners to alert her if they want to participate on a subcommittee that will develop a process to select Mitchell's successor. Mitchell said she could stay on while a new director is sought, though she indicated she did not want to stay longer than a few months. The self-described "card-carrying liberal" presided over a meeting of the commission Friday morning, peppering wonky health insurance discussion with trademark quips. Discussing drug prices - which have an impact on the commission covering hundreds of thousands of people - Mitchell noted controversial pharmaceutical executive Martin Shkreli had been "hauled off to the pokey yesterday in handcuffs." Explaining the reasons for her departure, Mitchell said she had a "secret bet" or "contest" with Queen Elizabeth II over who would "be first." "But then when I saw a picture of her recently, and I said, 'You know. She's going to go on strong. She'll live to be 103.' And I said, 'You've got to know when to hold them and when to fold them," said Mitchell, who said she had never played poker. "So for all of those reasons I decided that the time is now." According to the Group Insurance Commission, about 262,500 people were covered by the commission when Mitchell arrives, and the commission now covers more than 430,000. Mitchell also sits on the Greater Boston Big Sister Association Board and on the board of the Massachusetts Health Connector, which oversees the state's health insurance exchange. "I have known Dolores since I first began working in state government and certainly appreciate all of the hard work she has done to make sure state and municipal employees have access to exceptional health insurance plans. I wish her all the best as she begins retirement," Gov. Charlie Baker said in a statement.